What insurance do you need to manage risk on a peer to peer marketplace? When opening your marketplace for sale or renting between individuals, having insurance is essential to cover yourself and your customers in case of problems. Actually, insurance is also essential to maintain the trust of your marketplace community. To properly manage the transactions made on your peer-to-peer marketplace, you will need to rely on good insurance. What are the mistakes to avoid and what type of insurance is needed? Let's have an overview about the issues you may confront with peer to peer transactions and what kind of insurance you need to avoid those risks on your marketplace. Why offering insurance on my marketplace? Having insurance for your marketplace is an essential point not to neglect to prevent small and big problems. Insurance can help you in the bad passes that could be fatal to your business and at the same time is a great way for you to build the trust of your community on your matching platform. 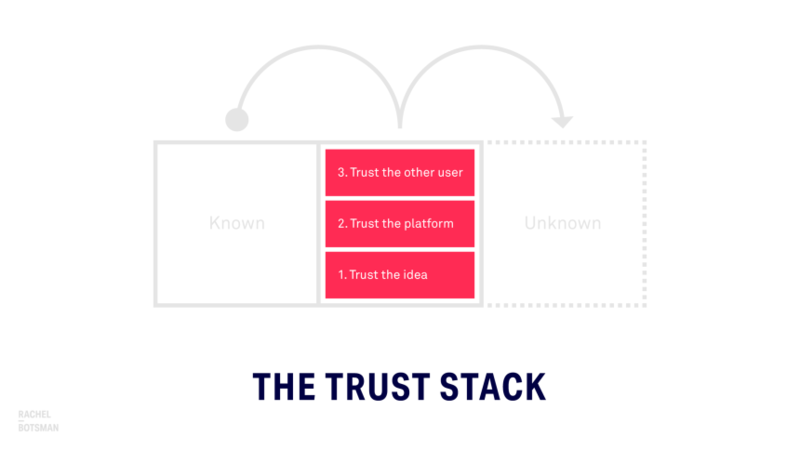 By ensuring transactions and problems related to exchanges between your users, you ensure your role as " trusted third party ". So take care to select an insurance adapted from the start to the typology of your marketplace, in order to be more attractive for your sellers or renters and on the other hand prevent any unpleasant surprises in case of dispute. As a marketplace selling or renting goods between individuals you will face several threats, and some may cost you a lot of money if they are not well managed. What can be problematic is, first and foremost, that we are responsible for what others sell in our marketplace. Even if you pay close attention to selecting sellers and choosing quality products, an accident can happen. If a customer is dissatisfied and has been harmed by a purchase made on your platform, your website will be continued and possibly you too. If your marketplace looks a bit too much like another online sales site, you may be sued for copyright infringement. Try to stand out by taking inspiration from multiple sites, but strive not to copy identically. This goes for the layout but also for the texts and the product sheets. France is the second most vulnerable country to piracy on the internet. In addition to harming your site, it can also result in theft of confidential data, which has affected the privacy of your customers or their bank account. After hacking, it's not easy to stay credible with your customers and promise that it will not happen again! If your site is hacked and information is stolen, it can cost you a fortune. It will be necessary to inform all the customers and also regain their confidence ... as well as that of the salesmen! What if the goods are lost? It can happen that a package is lost and that the goods never arrive. Although this can not generate huge losses because it is about one-time threats, it is better to take insurance for transportation to get a refund for each lost package. What type of insurance to choose? In the best case, you will opt for a professional civil insurance to cover you at the level of the products on sale in your marketplace. But that's not all: it is better to protect yourself as much as possible and also opt for legal protection insurance, to manage a maximum of threats. How to choose your insurance? 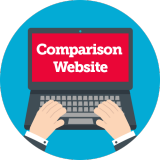 You can use an insurance comparator to be sure to choose the one that best suits your activity. Do not hesitate to call insurance advisors for more details and do not rush to make your choice. Make sure to take into account the reputation of the insurance to which you turn. You can search for customer reviews before you start. Ask about their response and reimbursement time. This is the potential survival of your business, if the delays are too long, you incur huge losses. For a small marketplace that starts, and even for a confirmed platform, it is better to bet on insurance that is reactive and ensures you pay back very quickly. There are four main types of marketplaces: transport, space, goods, and services. Depending on what is sold on the platform, insurance can cover you more or less well. To each insurance his specialty. These are marketplaces like BlaBlaCar, French start-up, which offers car pooling sessions. Drivers and passengers traveling in the same direction share the cost of the trip. The company is now valued at more than $ 1 billion. The insurer AXA seduced BlaBlaCar. It offers coverage to all passengers, up to 6 people. If there is a problem during the journey, roadside repair and towing to the garage will be considered, as well as transportation to the intended destination. Drivers are also covered for possible legal fees, up to 10,000 euros. In the event of a serious accident, AXA provides coverage of up to 25,000 euros. There is also Drivy, a private car rental marketplace, has chosen Allianz to be well insured. 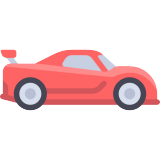 As soon as a rental is set up, Allianz automatically replaces the insurance of the owner of the car, for the duration of the lease. In case of an accident, the driver pays the cost of repairs to the insurance and Allianz pays for the rest. Theft, fire and other damages of the vehicle are covered up to 50,000 euros. Cars that are less than a year old are covered for their purchase value. A full service breakdown is provided for roadside assistance and transportation to a garage as well. Axa and Allianz seem to be good insurance for marketplaces specialized in transport. Airbnb is the first rental platform concerned with more than 3,000,000 listings in 65,000 different cities. It is Lloyd's insurance that covers AirBnB and offers up to $ 1,000 in protection for property or property damage if the damage exceeds the amount of the security deposit. In parallel, AirBnB recommends to the hosts to have a good insurance for their housing. The English marketplace Vrumi offers workspaces for freelancers and other professionals who wish to have a place to work away from home. The insurance that covers Vrumi is Safeshare Global, and the proposed coverage can be up to £ 2,000,000 for public liability or £ 5,000,000 for an accident with house staff. Many marketplaces sell or rent merchandise. This is the case of zilok.com, which is provided by MAIF. Zilok allows owners of objects to rent them near where they live. This platform is Parisian and has 400,000 articles online. The MAIF provides compensation up to 2000 euros, depending on the initial state of the product. If your marketplace is selling or renting merchandise, MAIF may be able to offer you interesting coverage. As for platforms offering services, it seems that those that already exist, such as TaskRabbit or Handy, have no known insurance. But if the customer is not satisfied, the marketplace sends another provider to do the work again. Customers are compensated up to $ 1,000 for TaskRabbit and $ 20,000 for Handy for property damage.